Happy happy Monday! It’s been quite a LONG time since I’ve said that. 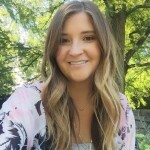 I really did have every intention to keep blogging through the weeks leading up to my wedding. Heck, I even had recipes that I shot, but I never had the chance to sit down and edit photos and type posts. I know I don’t have to explain myself, but I always feel the need to. And yes, I am now MARRIED! ? Almost 2 years of planning and it’s all over! It really is a bittersweet thing, though. It was, hands down, the best day of my life, but I probably wouldn’t do it again. The nerves and the anticipation just about killed me. I really HATE being the center of attention, so the thought of walking down the aisle, reciting wedding vows, and having a first dance in front of a (small) crowd really psyched me out. However, it truly was a perfect day. I couldn’t have asked for a better wedding – nothing went wrong! The weather started out really gloomy, but I never really cared if it rained or not so I didn’t dwell on it throughout the day. It was pouring about 2 hours before the (outdoor) ceremony was scheduled, and then about an hour before it slowed enough to get some first look photos under a gazebo. 10 minutes before the ceremony the sun came out and it turned into the most beautiful evening! I still cannot believe how the weather turned out. I’m convinced it was all of our loved ones shining down on us. ? Can you guys believe Memorial Day is next week?! The summer hasn’t even started and I already feel like it’s going to fly by. 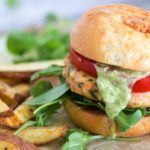 One thing you must try this summer are these turkey burgers! If you are like my husband (?) and wrinkle your nose at the sound of turkey burgers, keep reading! 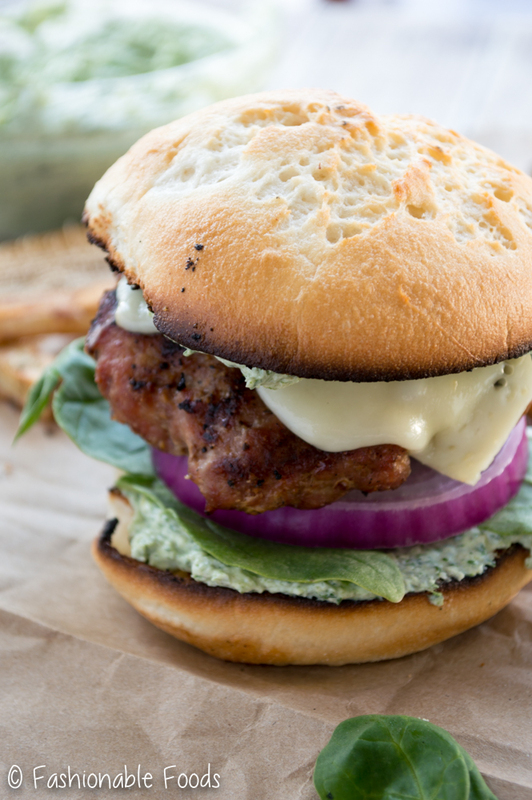 Ground turkey makes a fantastic burger if you keep a few things in mind. First, you have to use dark meat (or a mix or dark and white). 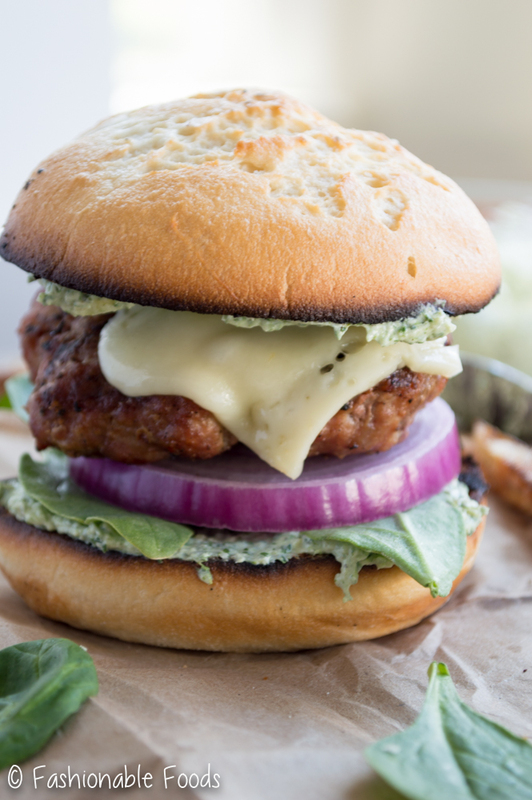 You can’t expect a no-fat turkey burger to come out juicy, so make sure there is dark meat involved! Second tip is to make sure you don’t overcook them. Seems obvious, but I’m sure a lot of us are afraid of undercooking that we end up giving them extra time “just in case”. Get yourself a meat thermometer and test them so you don’t have to guess when they are done! Now, once you have the burger part down, let’s talk about the toppings. We have cheese (of course), red onion, and spinach and artichoke dip. Yes, it tastes just as good as it sounds! The spinach and artichoke part is a simplified version of the classic dip. All you have to do is sauté fresh spinach and garlic in a pat of butter. Toss in the artichokes and let the mix cool slightly. Puree the vegetable mix with cream cheese and season with salt and pepper. That’s it! I wanted the dip to be more of a spread so that we could easily slather the burger buns. It worked out beautifully and I dipped my oven fries in the extra. ? 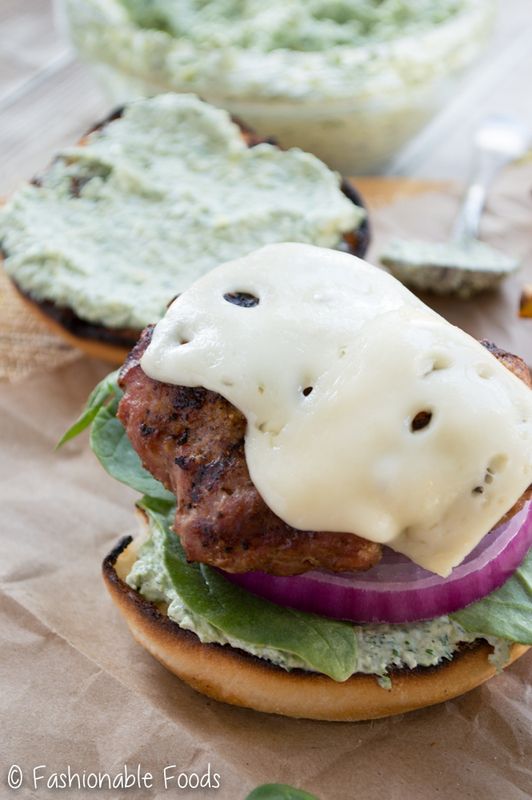 It’s 7am and my mouth is watering at the thought of these spinach and artichoke turkey burgers! They really are that good! Preheat your outdoor grill to about 450º. Form the ground turkey into 4 equal burgers and drizzle them lightly with olive oil on each side. Season both sides liberally with salt, pepper, and garlic powder. 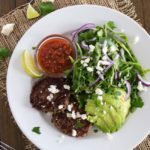 Allow the burgers to sit at room temperature until your grill is preheated. Meanwhile, make the spinach and artichoke dip – heat a small sauté pan over medium heat. Melt the butter and add in the garlic; sauté for 30 seconds and then add in the spinach. Once the spinach is wilted add in the artichokes and heat through for 30 seconds; season with salt and pepper. Remove the mixture from the heat and let cool slightly. Combine the vegetables in a food processor with cream cheese and process until very smooth. 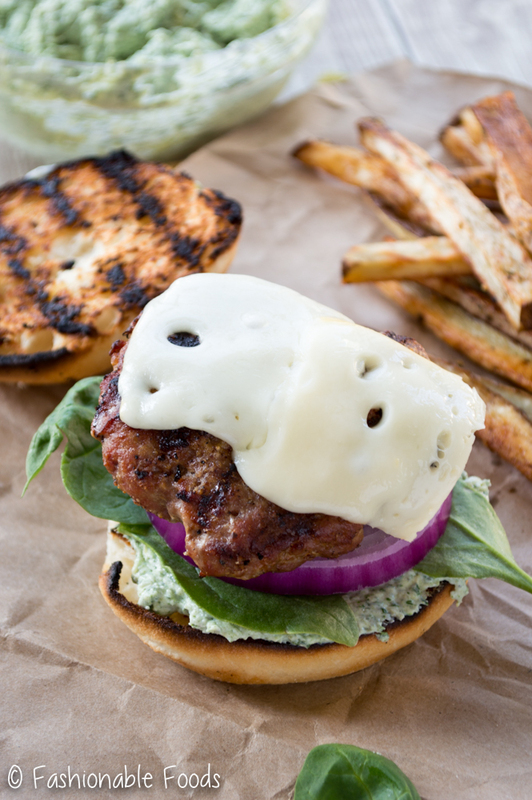 Once your grill is preheated, place your turkey burgers onto the grill. Cover and cook for 2 ½ minutes, then rotate the burgers 90 degrees and cook for another 2 ½ minutes. Flip the burgers and repeat the same process, adding the cheese during the last minute of cooking. 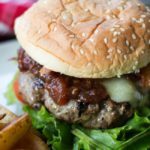 My burgers on an infrared gas grill took 5 minutes total, but you may need more time depending on your grill. Turkey burgers should be cooked to 165º internally. 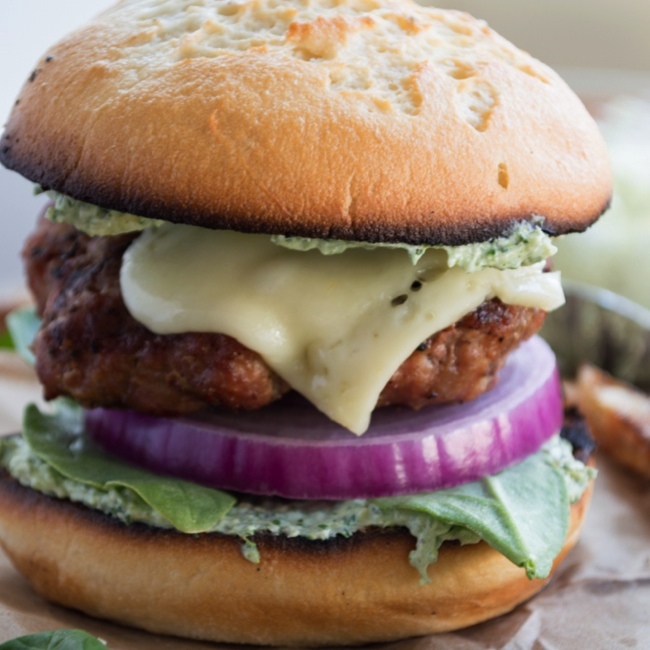 To assemble the burgers, start out by toasting your bun (if desired) and then slather each side with the spinach and artichoke dip. Layer on an onion (and some fresh spinach if you like!) and then top with your burger. 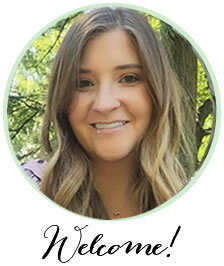 Congratulations, Keri! It sounds like you had a wonderful wedding. Welcome to married life! 🙂 I can’t believe it’s almost Memorial Day weekend! This year has FLOWN by! These burgers…wow. Turkey burgers are a favorite of mine, and I’ve had spinach and feta, but never with artichokes. This sounds amazing! I’m definitely trying this the next time I make them! Thank you for the kind words, Cheyanne! Thanks for the burger love, too. I think it’s safe to say I will now smother everything I eat with spinach and artichoke dip! ? Awesome Awesome Awesome! I haven’t had burgers or turkey burgers or TURKEY in general, since… THANKSGIVING pretty much! And you know what? I am sooooo craving it now! These burgers were probably the first time I had turkey since Thanksgiving, too! Thanks GiGi!